THIS LISTING IS FOR WHOLE DRIED DATURA SEED PODS. 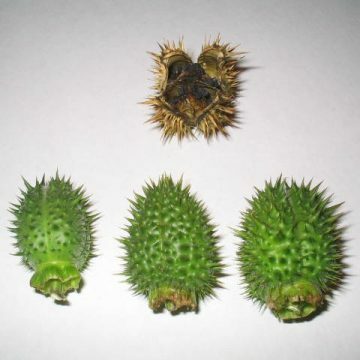 THESE PODS ARE OFFERED AS BOTANICAL SAMPLES. THEY DO CONTAIN VIABLE SEEDS. IN MANY CASES, THE PODS WILL CONTAIN MORE THAN 150 SEEDS. HOWEVER, THEY SPLIT OPEN UPON DRYING. WE DO NOT GUARANTEE ANY SPECIFIC QUANTITY OF SEEDS PER POD. BUT THEY SHOULD BE ENOUGH FOR THE AVERAGE GROWER. WE ALSO OFFER PURE SEED FOR GROWING. Datura Stramonium is perhaps the most well-known species of datura. These seeds will produce extravagant white trumpet-shaped flowers with purple throats measuring up to six inches. The flowers fall and are replaced by two-inch spiky seed pods. 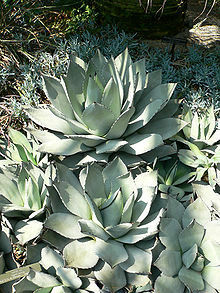 It can be grown indoors under lights but is generally an outdoor landscaping plant measuring up to five feet in height. In recent years, datura and the related brugmansia varieties have grown in popularity for their large and prolific blooms. 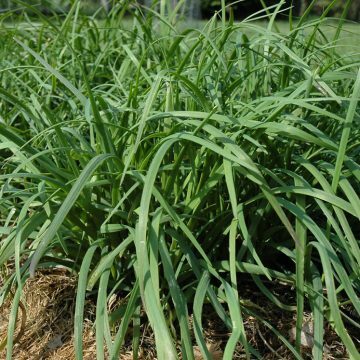 These annuals are also abundant seed producers and will usually reseed themselves the following year if the seed pods and plants are left in the ground to dry out at the end of the season. Many datura varieties have been used by various medicine men throughout the world as a divination tool. They have also been used in witchcraft to create so-called flying ointments and were once used in cosmetics. There are various medicinal uses for the plant, although its extreme toxicity generally outweighs any of these benefits for it to be used practically by herbalists. Still, both atropine and scopolamine, two alkaloids present in the plant, are sometimes used in isolated form by doctors. Among the various uses of these chemicals, both cause pupil dilation and eye muscle paralysis for optometric procedures. Scopolamine is also sometimes used for the reduction of motion sickness. 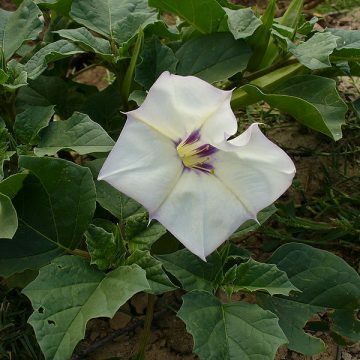 There are numerous reports of people suffering from madness from accidental datura ingestion. The most notable was a case in which settlers in Jamestown mistakenly used it in cooking, causing much of the town to run mad. 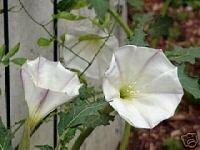 It is from this instance that datura was given the nickname, Jimson Weed. Although the name most directly applies to Datura Stramonium, it is often used in reference to other datura varieties as well. 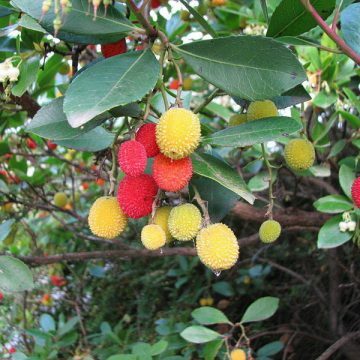 WARNING: Despite this plant’s beauty, all parts including the seeds contain compounds that are poisonous if ingested. Do not ingest for any reason and keep away from curious pets and children. Be careful whenever handling the see dpods because they contain very sharp spines that can even penetrate gloves. Growing Information: Stramonium seeds tend to germinate more readily than most other species of datura. 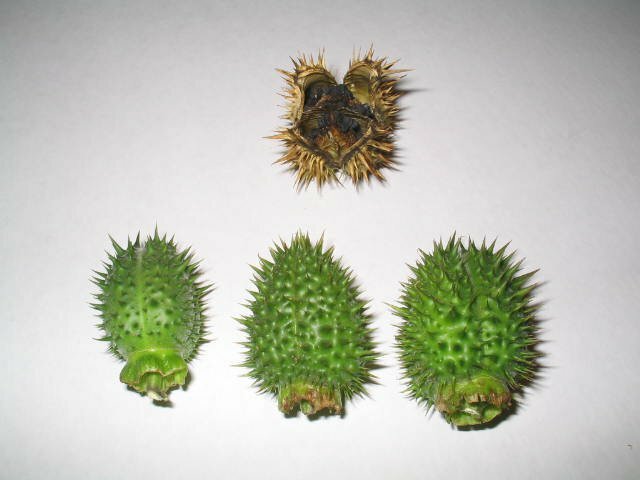 Datura seeds should be planted just below the surface of the soil (about 1/8”). 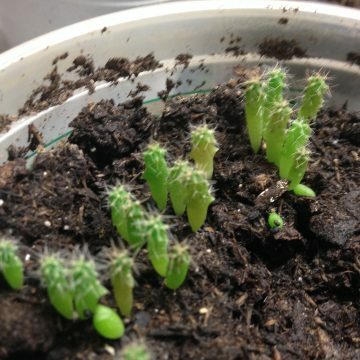 They can be direct sown or transplanted after the seedlings have developed their first set of true leaves. Plants will grow in almost any soil type. Although, a well-draining, nutrient-rich soil such as a mix of sand and compost will produce drastically better results with taller, wider plants that have bigger blooms and more pods. For best results, situate plants in full sun to nearly full sun. WARNING: Despite this plant’s beauty, all parts including the seeds contain compounds that are poisonous if ingested. Do not ingest for any reason and keep away from curious pets and children.